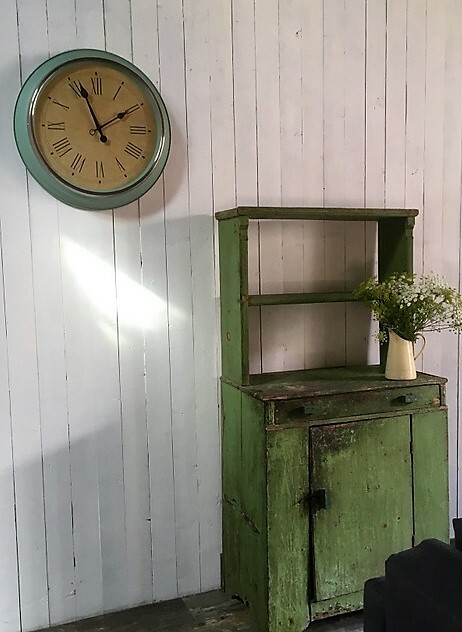 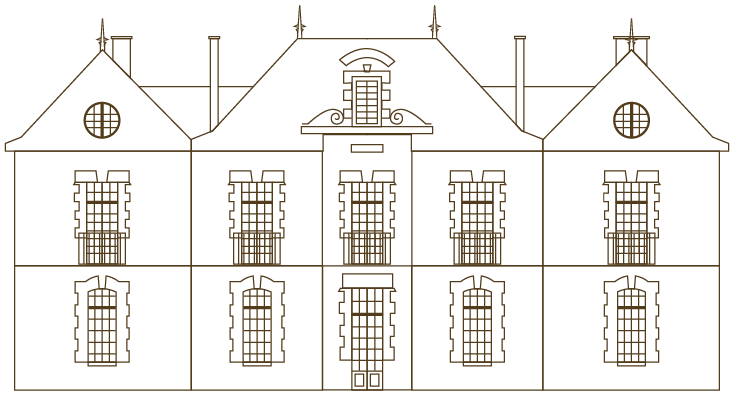 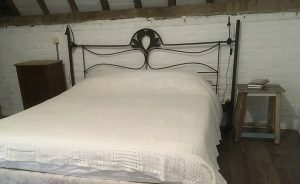 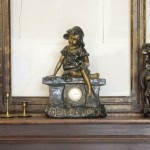 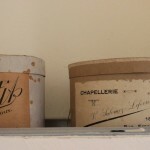 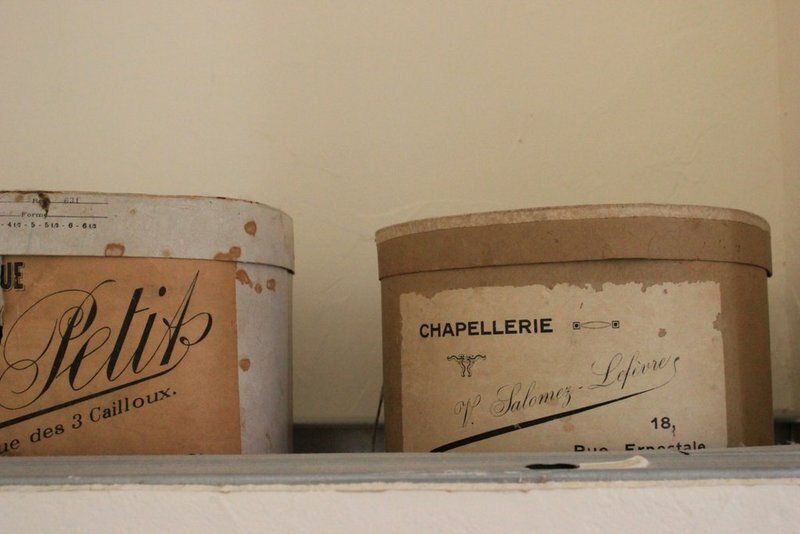 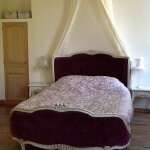 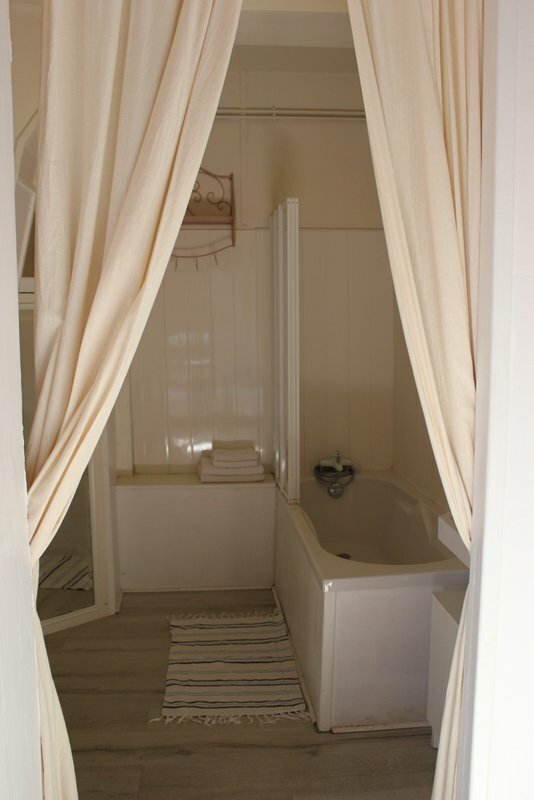 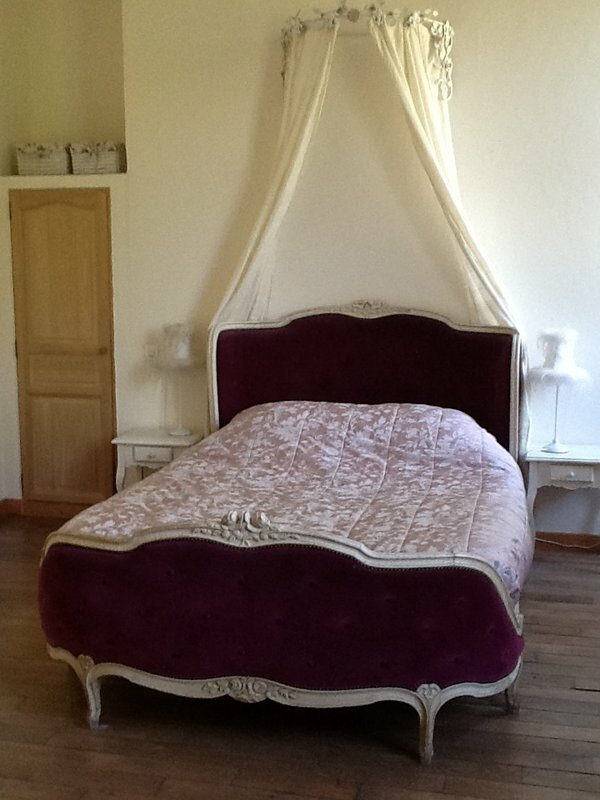 We offer individually decorated en suite bedrooms full of brocante and original details. 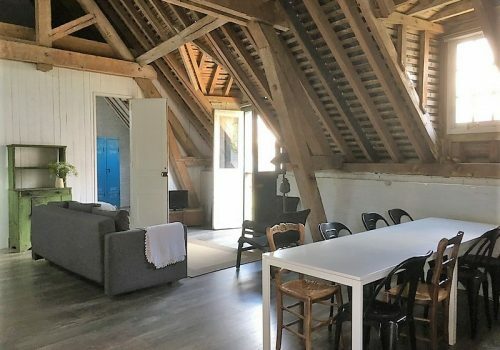 Each room is unique. 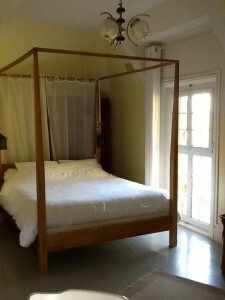 Baby beds and high chairs are available free on request and extra beds can usually be arranged. 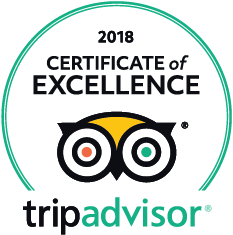 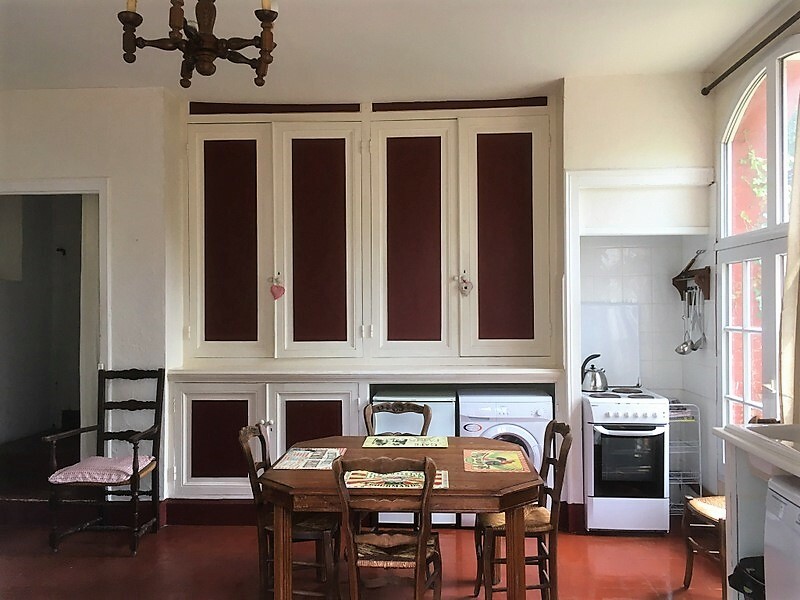 Every morning a delicious breakfast is served in the gorgeous Chateau conservatory which includes fresh baguettes and croissants, jams (homemade when available), eggs, meats, cereals and a selection of cheeses. 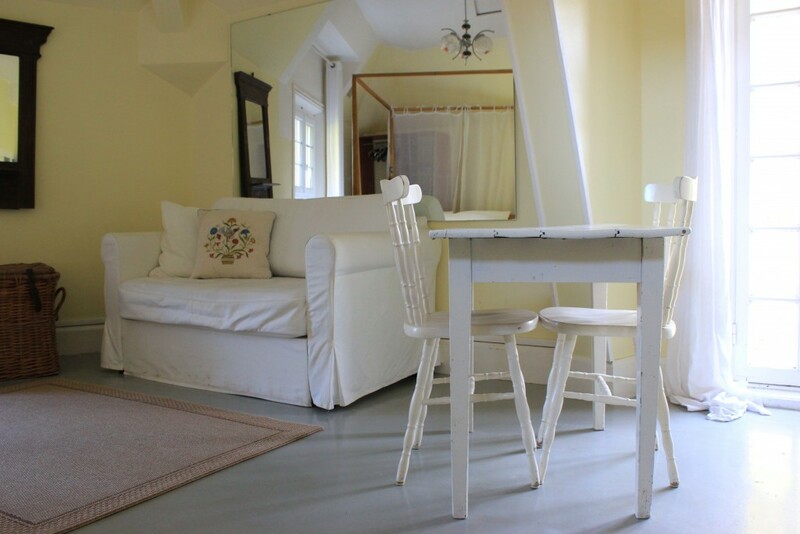 Our Gites can be hired per week or for a shorter period outside the holiday season. 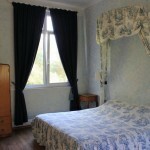 Guests staying in the gîtes can also enjoy the breakfast buffet for a supplementary fee. 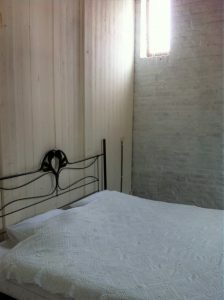 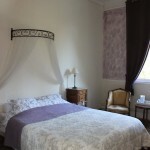 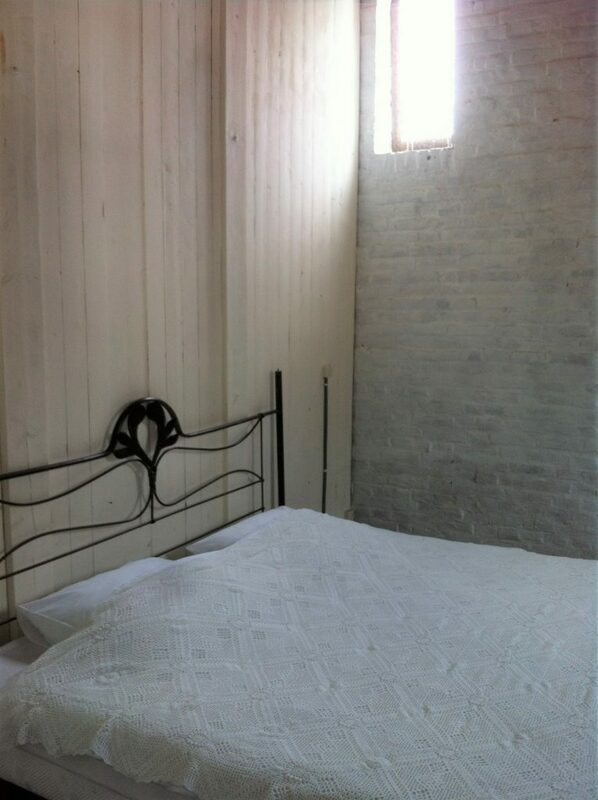 Beautiful spacious room with king size bed, seating area, Italian shower & toilet. 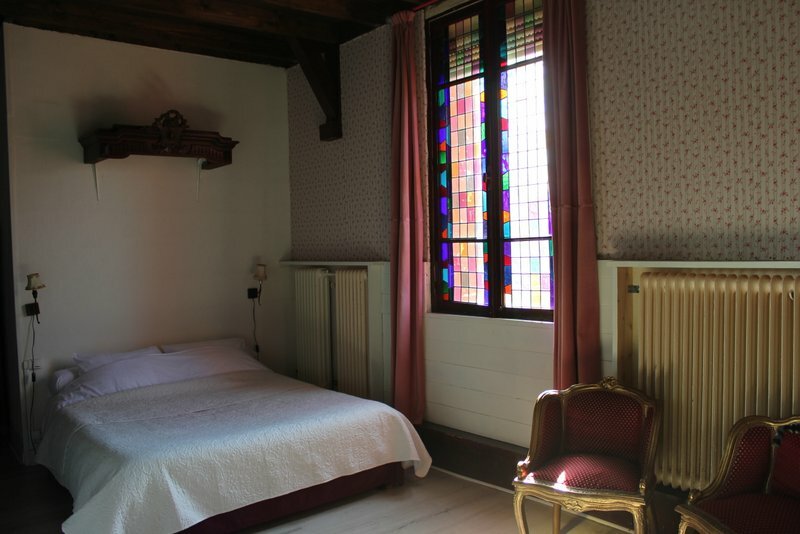 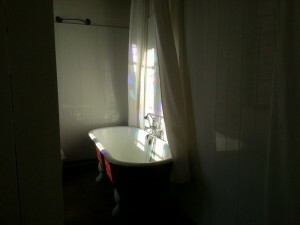 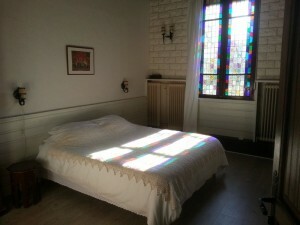 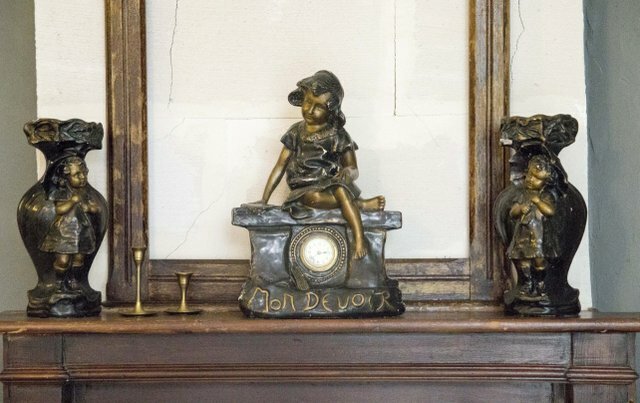 Family room with original stained glass window, double bed, a queen size bed, bath & toilet. 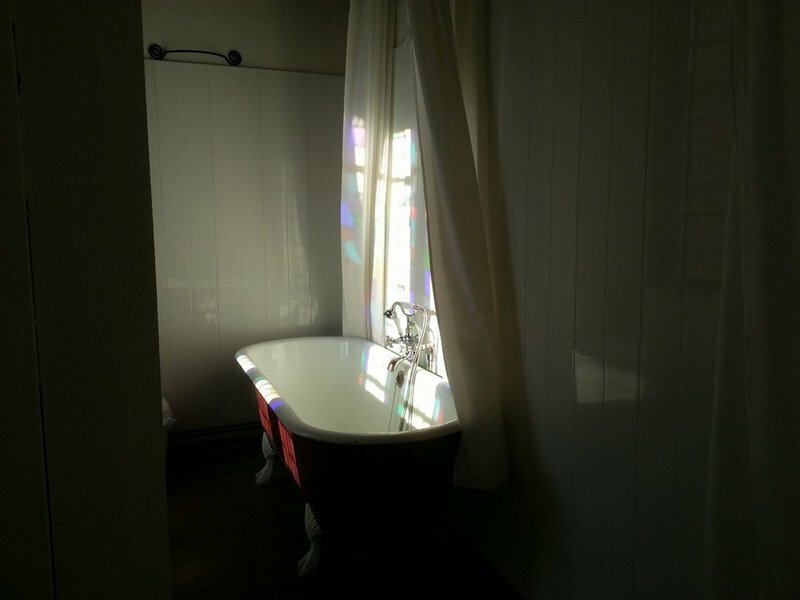 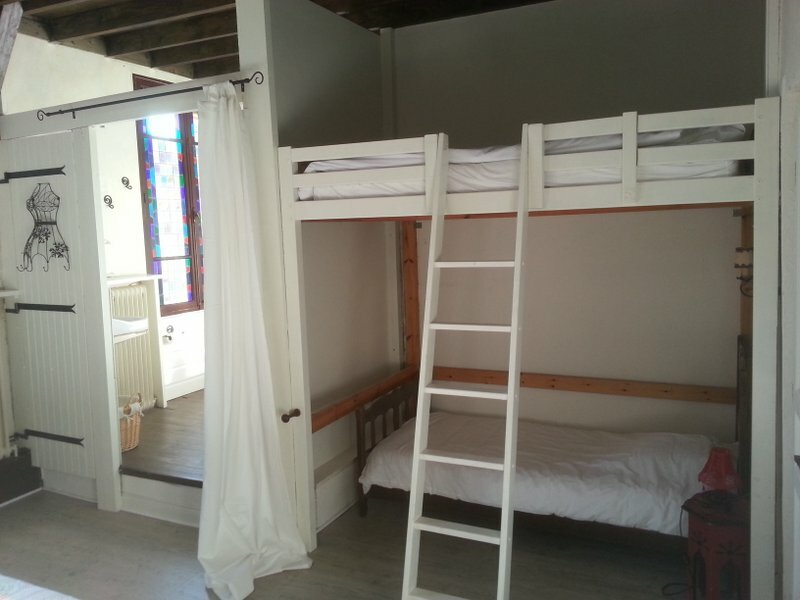 Spacious family room with original stained glass windows, double bed, bunk bed (sleeps 3), roll top bath & toilet. 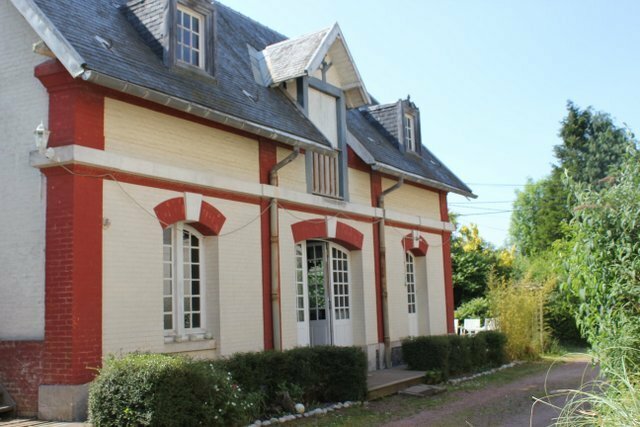 Our popular family gîte on the ground floor of the Old Smithy next to the Chateau. The Cottage has its own entrance and terrace and is wheelchair accessible. 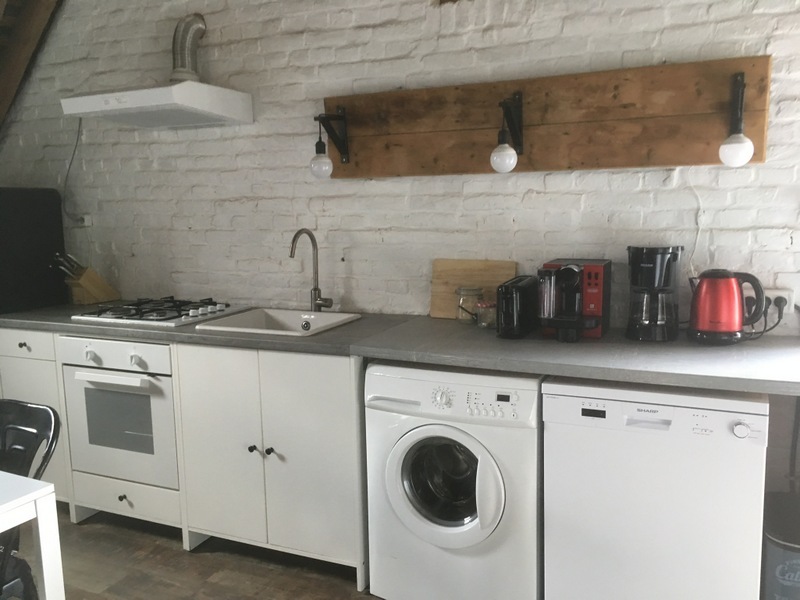 There’s a large living room area with a woodburner and a fully equipped kitchen with a microwave, washing machine and dishwasher. There are two double bedrooms, a bunk bed room and two bathrooms. 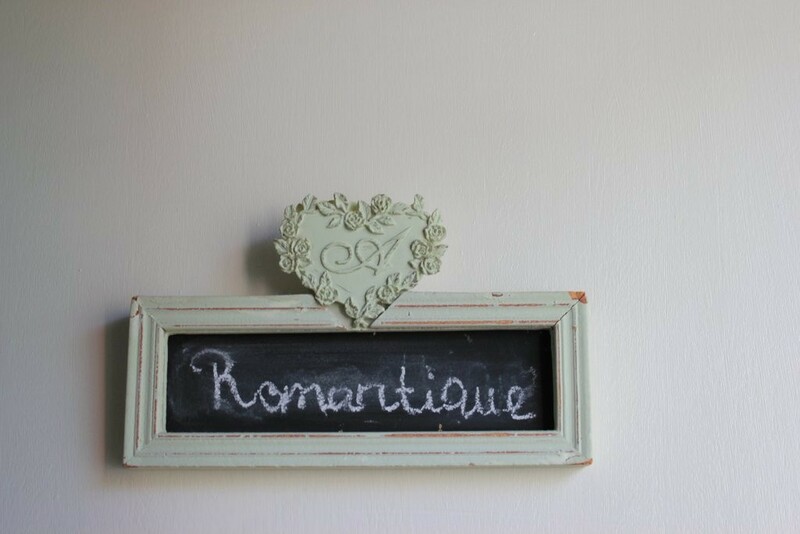 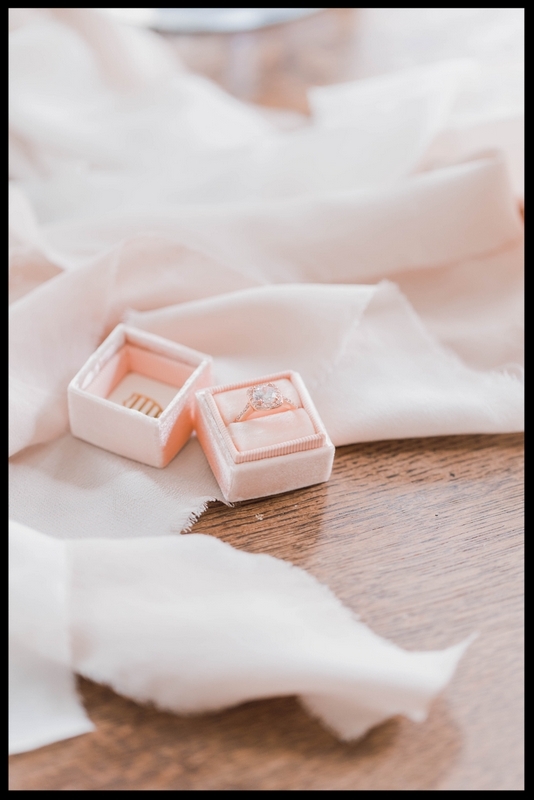 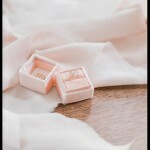 The Grenier is our personal favourite. 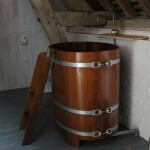 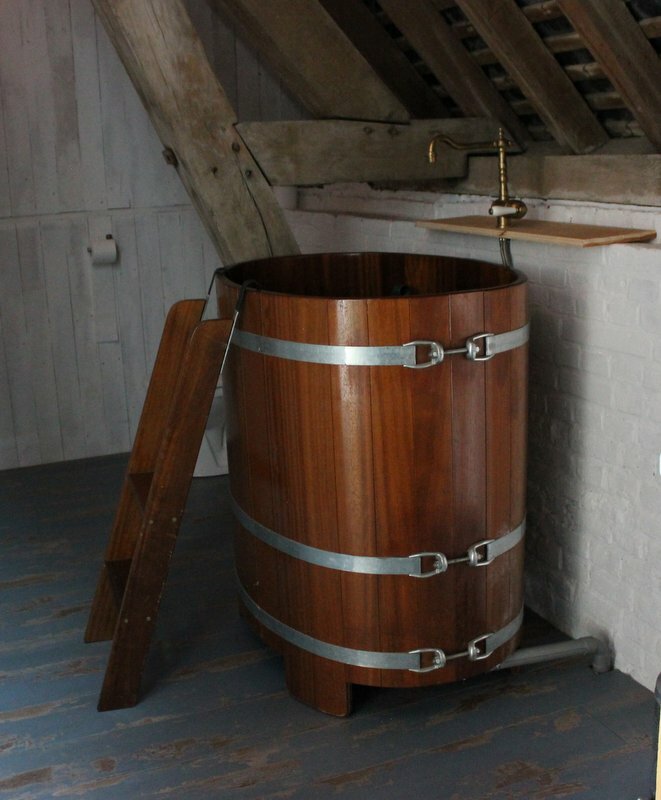 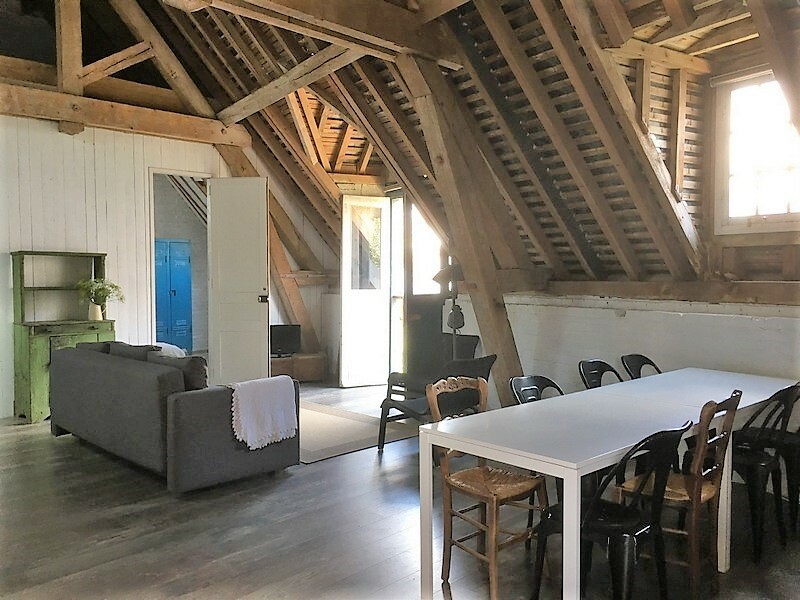 It’s built in the Old Smithy’s spacious hayloft using mostly reclaimed materials. The Grenier has its own terrace and entrance via an exterior stairway. 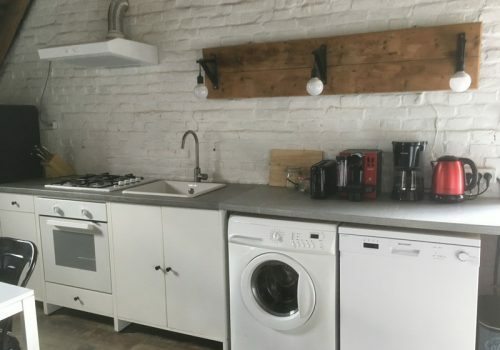 There is an open plan living and kitchen area with microwave, dishwasher and washing machine. 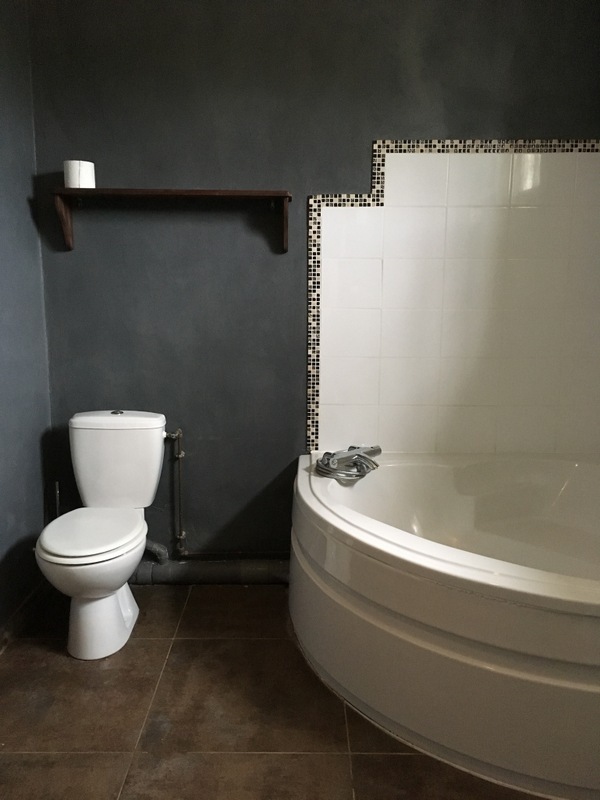 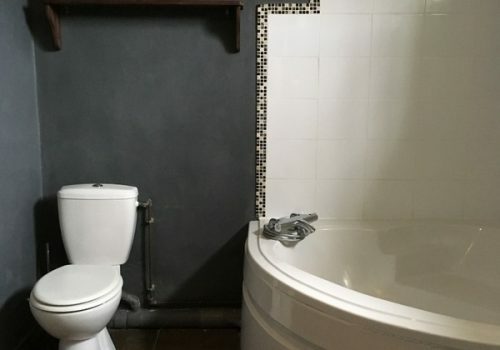 There are two bedrooms, a double and a triple with room for extra beds and a stunning bathroom with plunge bath, shower & toilet. 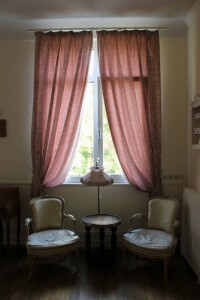 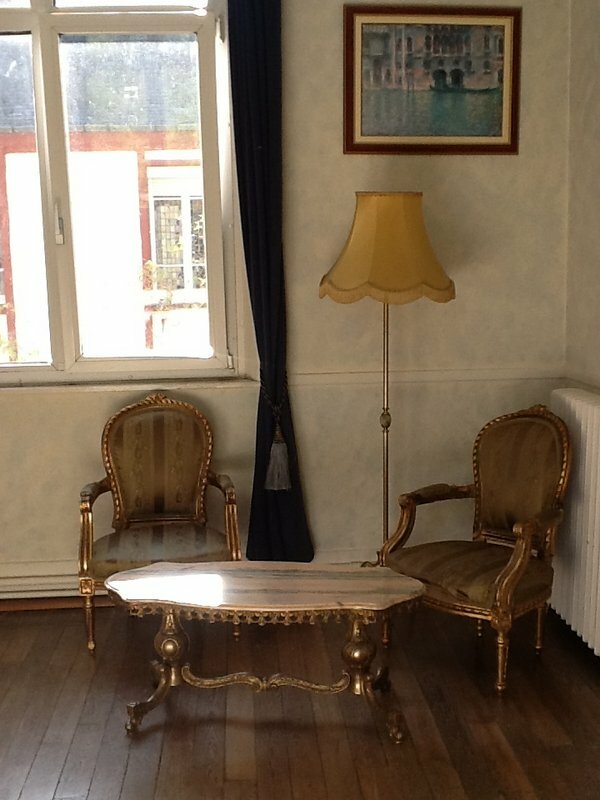 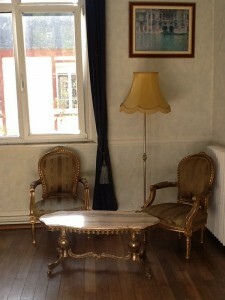 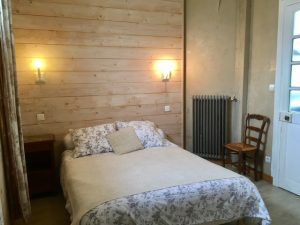 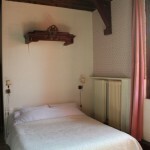 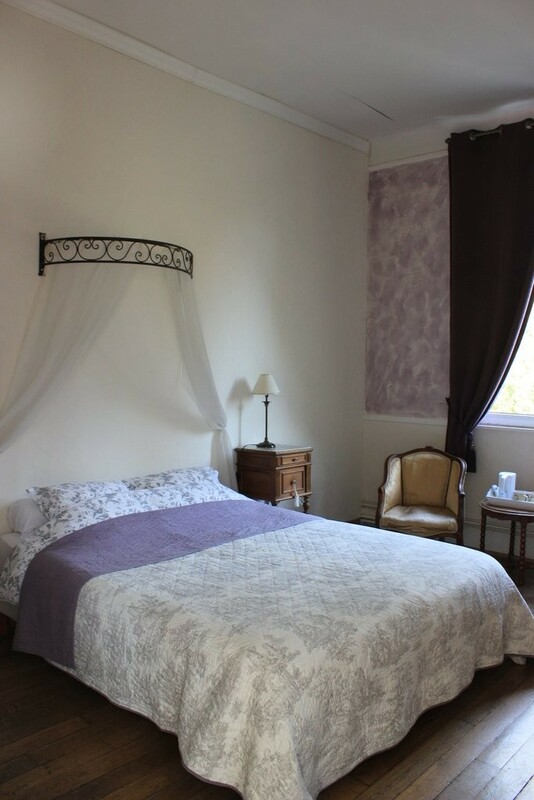 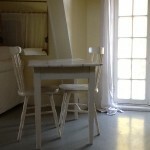 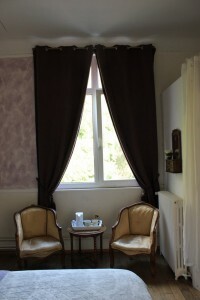 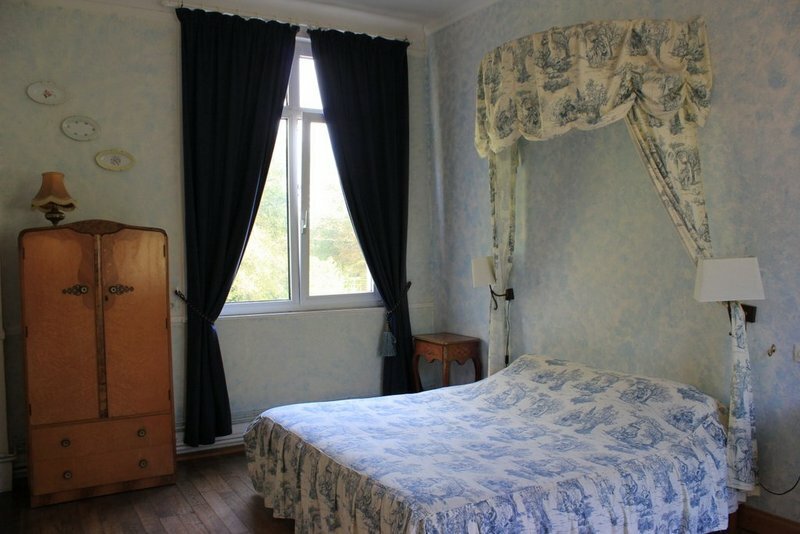 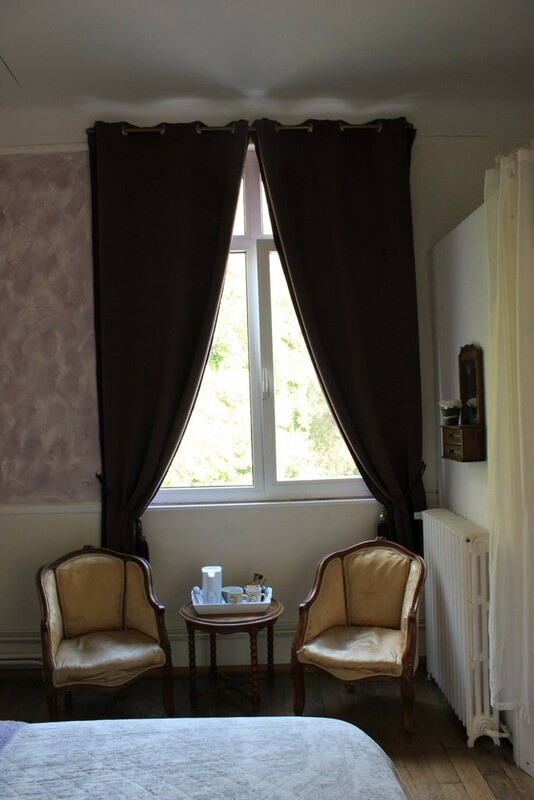 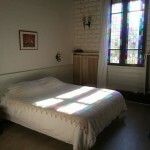 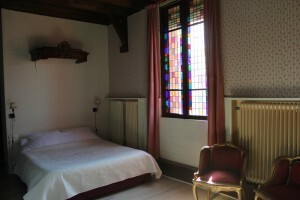 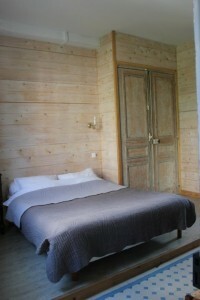 A comfortable studio apartment on the first floor of the original staff quarters of the chateau. 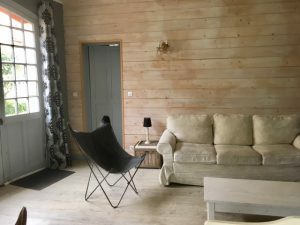 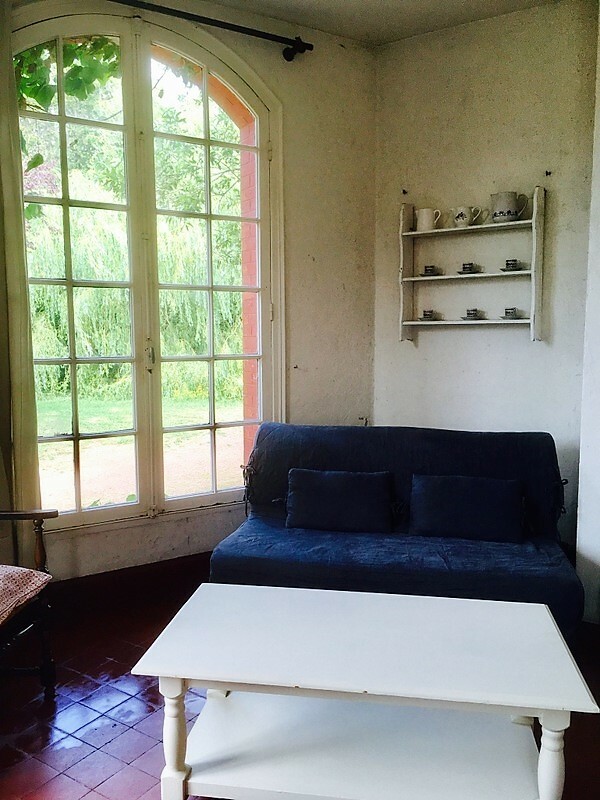 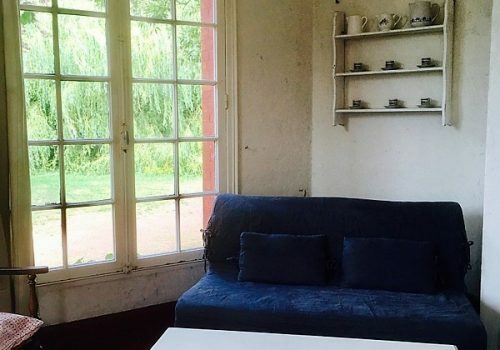 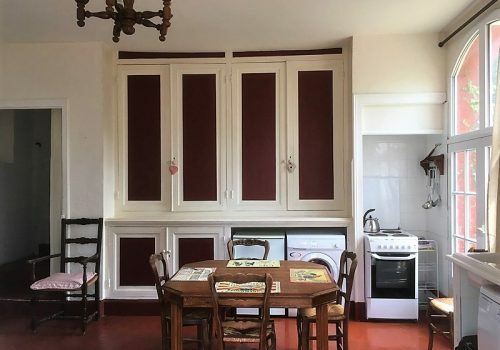 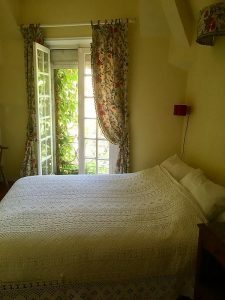 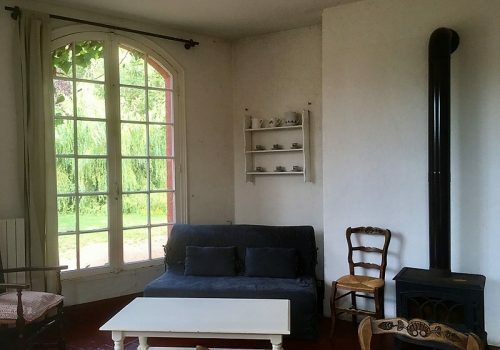 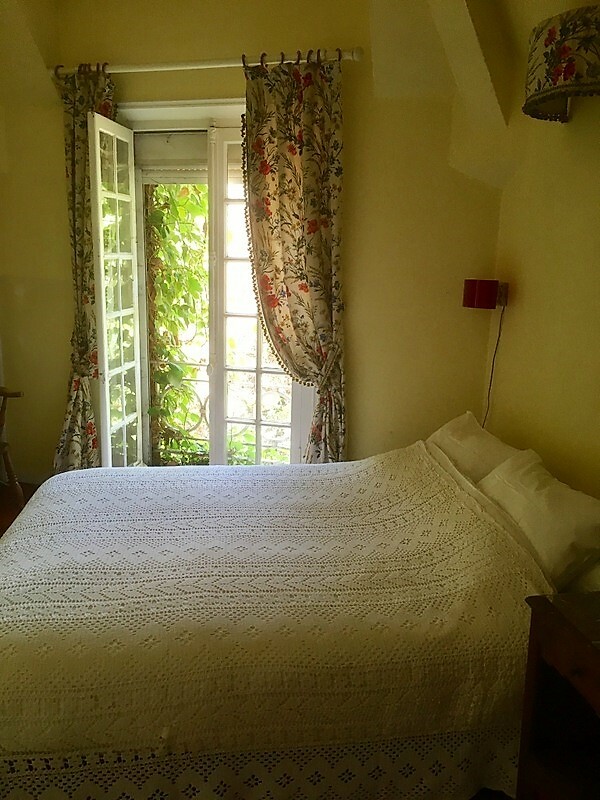 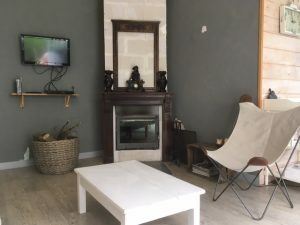 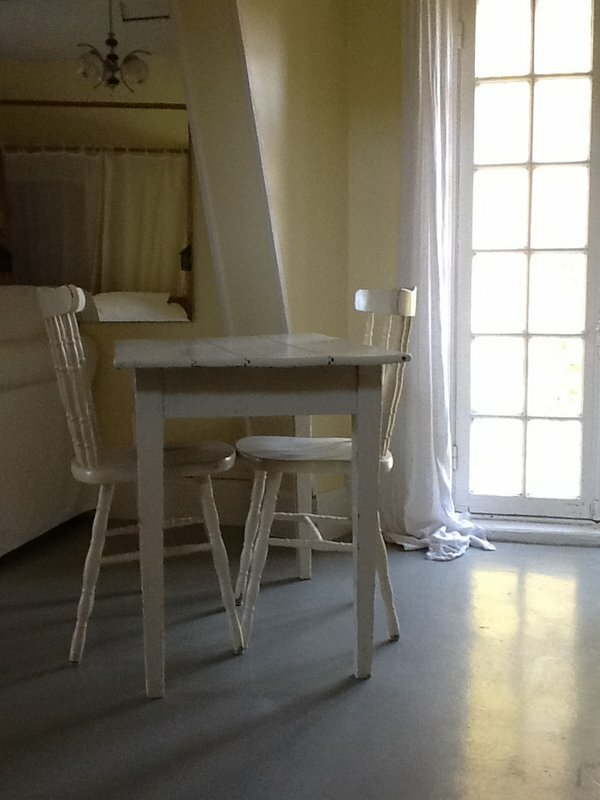 The studio is a one room gite with a lovely view of the garden. 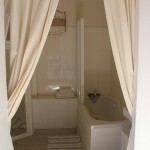 It has a kitchenette, seating area, double bed, shower room & separate toilet. Access via steep stairs at the back of the chateau. 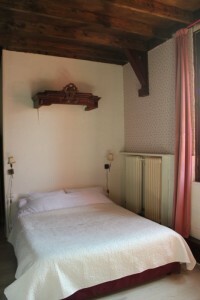 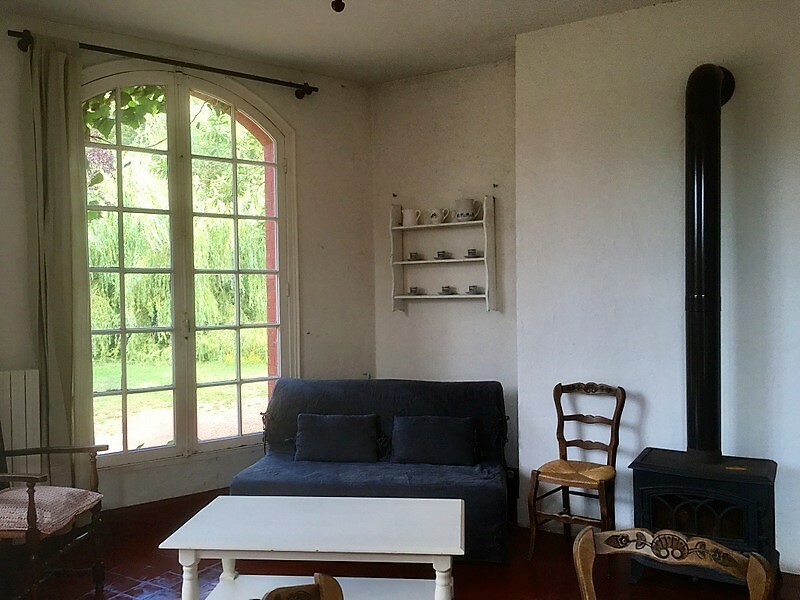 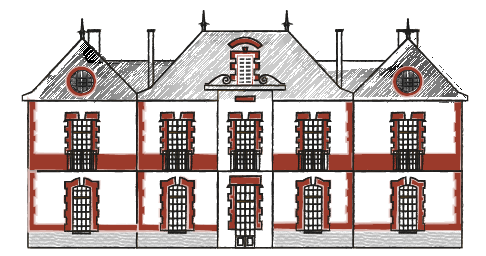 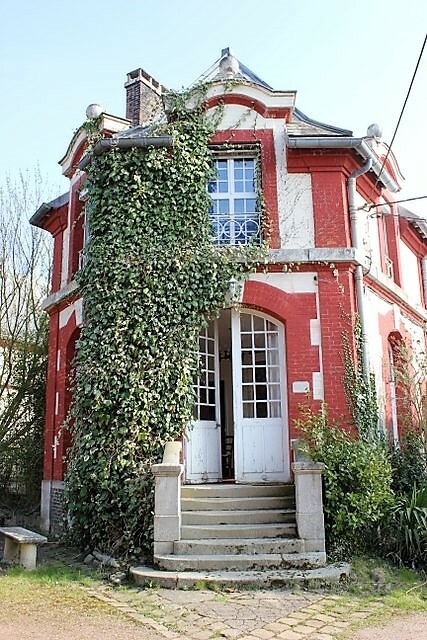 A large cosy three-storey Gîte in the original “Parloir” of the Chateau. 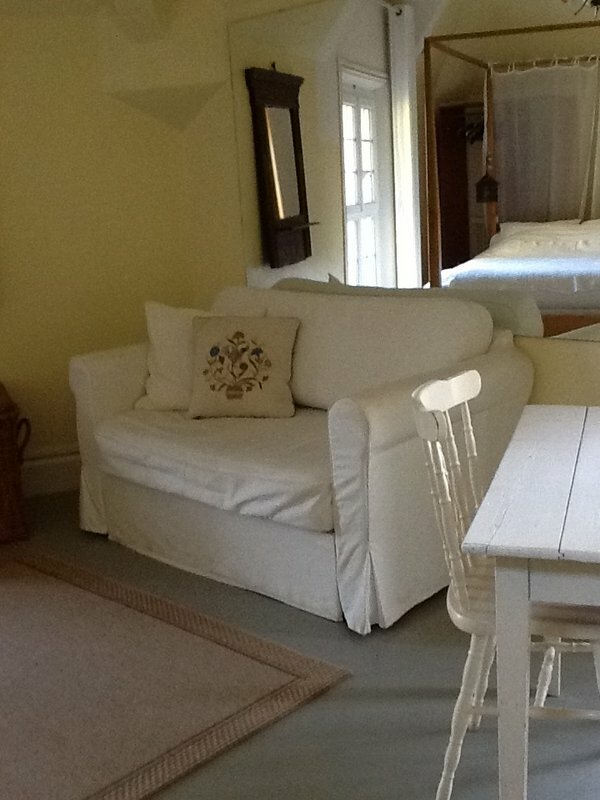 The open plan kitchen & living room on the ground- floor has a snug wood burning stove and DVD player. The fully equipped kitchen has an electric cooker, microwave, dishwasher and washing machine etc. 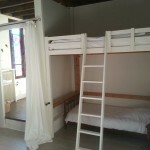 On the first floor you’ll find the main double bedroom, a smaller bunk room and a bathroom with a shower & toilet. The snug mezzanine on the second floor has 2 single beds.